I moved to the Tri-Cities to manage the Red Robin in 1981, I managed the Restaurant for 8 years and then our 2nd baby was born. The hours at the Red Robin were to much for a busy Mom so started my Real Estate Career in 1988, I have been helping people buy and sell their homes ever since. I am Broker at Windermere Group One, Tri-Cities. I am still living in the Tri-Cities-but come back to Yakima often to see my Mom(Unfortunately we lost our Dad to Cancer) and Brother's Family. Life is good and I am Blessed! I have so many great Memories of High School, all of the fun times with Tammy Brandt my Beautiful friend to this day...the Shenanigans with Adam, Mark and Tammy...The week-ends spent with Kathleen, Chris, Darlene and Tammy...Life is short and time goes by way to fast...take time to slow down and enjoy this Wonderful life we have been given. Darlene Arambul Weber posted a message on Kim Watkins' Profile. Hi Kim--I hope you are well! ARe you attending the class reunion? I'm going to the school tour and then the brewery on Saturday. I can't make it on Friday. I'm also going to try to make the Davis Reunion in August as a way to connect with the Lewis and Clark folks! 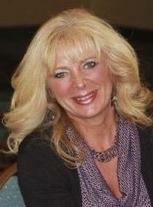 Kim Watkins Harty updated profile. View. Kim Watkins Harty changed profile picture.